The September webinar for the Collective Call to Action featured the leaders from NCTM, CMC-South, and ASSM. During each 15 minute overview the facilitators provided an overview of each reading and some key thoughts for participants to consider as they continue to engage in their equity and social justice work. The recording of the webinar can be found HERE and the slides can be found HERE. In the very near future, information will be available for 2017-2018 phase of A Collective Call to Action for Equity & Social Justice in Mathematics Education: From Awareness to Action. The focus for the year builds from our collective knowledge and understanding of topics and issues related to Equity and Social Justice in Mathematics Education to taking action to make a difference. The conference is coming! It's time to register and plan your housing for the 50th NCSM Annual Conference in Washington, DC, April 23 - 25, 2018. Join us for more than 250 sessions where you can learn about mathematics education leadership from leaders in the field. Enjoy time to recharge and renew with friends and colleagues. Register and book your housing today and we look forward to seeing you at the conference. Have you or the teachers you support implemented Three-Act tasks? 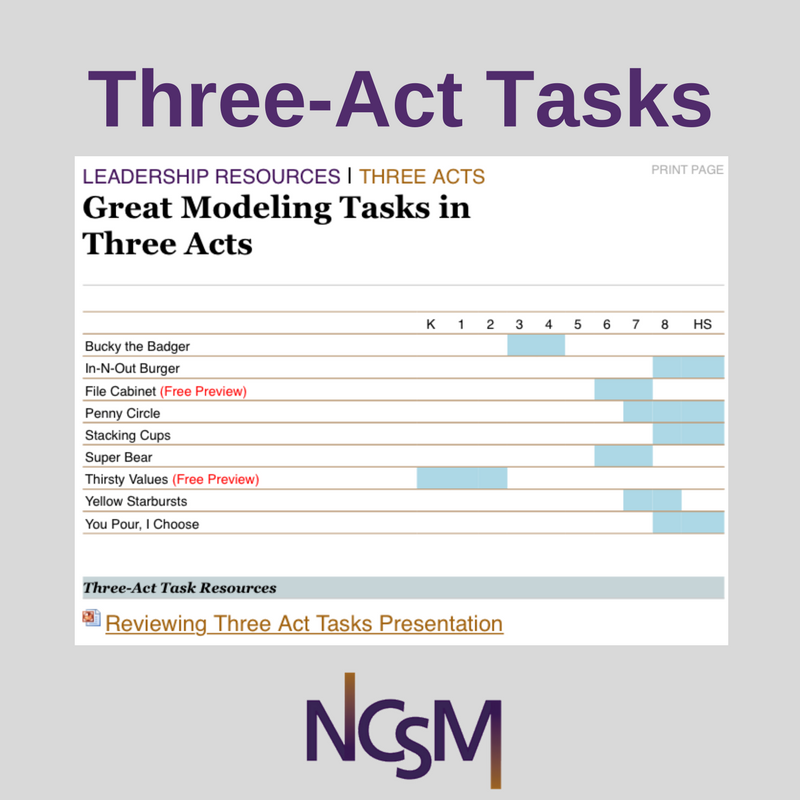 NCSM partnered with Dan Meyers, Andrew Stadel, and Robert Kaplinsky to create professional learning around Three-Act tasks. The online resources include the teacher moves required to support deep matheamtical thinking and effectively implement three-act tasks. For example tasks, rubrics to evaluate tasks and more, click HERE. 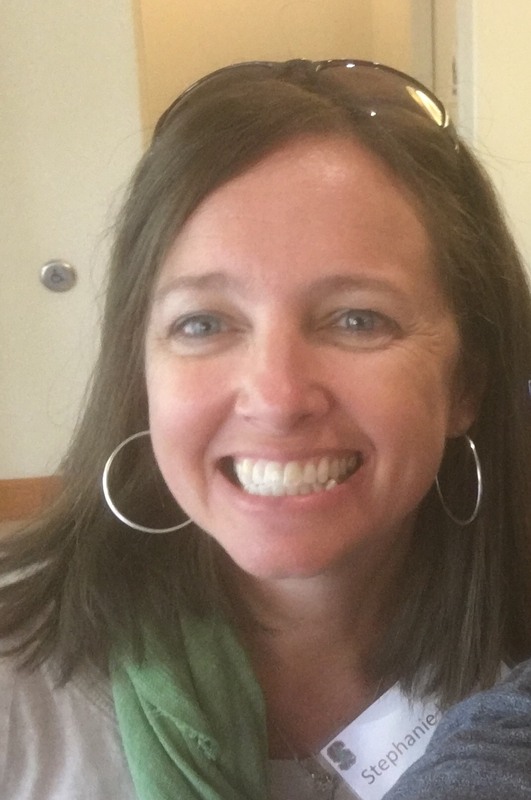 Congratulations to Stephanie Kootz, District Math Coach, from Rock Hill, SC! She is the raffle prize winner for the Member Rererral Program. Stephanie will recieve a set of NCSM books and complimentary registration for the 50th NCSM Annual Conference. 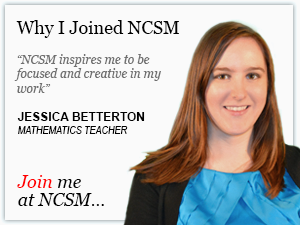 Thank you for your committment to NCSM. This quote seems appropriate as the NCSM board was in Washington, DC this past weekend preparing for our work for the coming year. As I think back on the 50 years of NCSM, I reflect on the leaders who inspired me. They helped me to do more and become more. As I reflect on my journey to this role in NCSM, I have many people to thank for what they did to encourage and motivate me along this path. One of the first NCSM leaders I met was Shirley Frye. She was a model for the leadership qualities I wanted to develop. Gracious, knowledgeable, and positive are among the many attributes I saw in Shirley. She gave so much of herself to lead and help leaders learn and she continues to support and encourage me. Another NCSM leader that motivated me was Kay Gilliland. At one of NCSM’s Annual Meetings I walked into the opening session and watched Kay open the meeting. I looked at the information she shared and the energy she exhibited and was inspired by her actions. As I continued on this path and became a board member, I had multiple opportunities to work with her and benefit from the wisdom she openly shared with those around her. When we presented together, she helped me understand the importance of making sure the audience gets the opportunity to talk. When she was editing the newsletter, she encouraged me to think outside of the box when I shared my regional director updates. Ruth Harbin-Miles was another inspirational leader on my path to leadership in NCSM. Before we worked together on the NCSM board, she invited me to provide professional development for the teachers in her school district. Ruth was a kind, generous, and trusting mentor from the very beginning of our long history. She asked me to be a state team leader and from there encouraged me to run for Central 2 Regional Director. When I joined the board, she guided my growth and helped me develop the confidence to lead a larger organization. I will be forever grateful to Ruth, Kay, Shirley, and the multitude of other leaders for their inspiration. Who do you thank for your path to leadership? Who inspired you? Who saw your potential and your passion and was generous enough to help you in their own way? And on the other side, ask yourself how you are paying it forward. Who are you inspiring to dream more? How do you inspire others to do more? How are you learning more to fulfill our mission of high quality mathematics teaching and learning every day for each and every learner? We hope you are able to join us in Washington, DC as we reflect upon and celebrate our 50 years and look towards the next 50 years of leadership. Together we can inspire others to do more and become more on their mathematics leadership journey. 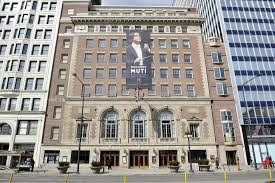 The Fall Seminar will be held on November 29, 2017 in Chicago, IL at the Chicago Symphony Center, 220 S Michigan Ave, Chicago, IL 60604. The seminar will run from 8:00a.m. to 3:00p.m. with breakfast and registration beginning at 7:15 a.m. Lunch will also be on-site and part of the seminar. Start planning now for this exciting and important seminar as we learn together how to lead for equity and social justice in mathematics. Registration is open and additional information may be found HERE. Kay Gilliland gave her time, energy, services and skills to work for equity in mathematics education for all students, especially low-income, black, Latino, and indigenous peoples. Each year NCSM honors her legacy by presenting a person of like mind and work ethic with the Kay Gilliland Equity Lecture Award. The awardee will be invited to present their lecture at the 2018 Annual NCSM conference in Washington, DC in April. Click HERE to nominate a candidate for this award. Nominations are open through November 1, 2017.